A new-ish company called Donuts Inc. has raised over $100 million to buy the rights to new web addresses that end in words like “.pizza.” The web as you know it–and surf it–is about to change. A company called Donuts has amassed a fund of over $100 million to buy the rights to new, product-specific domain addresses–such as .pizza–and has applied for 307 of them in various characters to appeal to the international market. What does this mean, exactly, for you and me? Plenty, despite the fact that gTLDs (generic top-level domains) are something you probably don’t often think about–particularly if you’re American, where .com dominates the web. It’s a different matter if you’re British (.co.uk) or European (.eu) or work for a government entity (.gov)–these letters are meaningful and denote a strong sense of location or purpose or business venture. The list of allowed letters at the end of web addresses is governed by the non-profit entity ICANN and until now it’s been pretty tightly locked at just 22 words. This is why .com has become globally popular, also why it’s so congested, and why it can be hard to find the domain name you want for a company (which explains, in part, why some startups have such odd name spellings). That’s all set to change, because ICANN is able to expand the list in a competitive way–it’s part of its purpose. That’s what it’s set to do soon, after it reveals the people who’ve applied for a new list of gTLDs on June 13th. Donuts is a Sammamish, Wash.-based registry for what are called generic, top-level domains. The company’s cofounder Daniel Schindler tells Fast Company that it is expecting to be among the top rank of these applicants, if not at the very top. 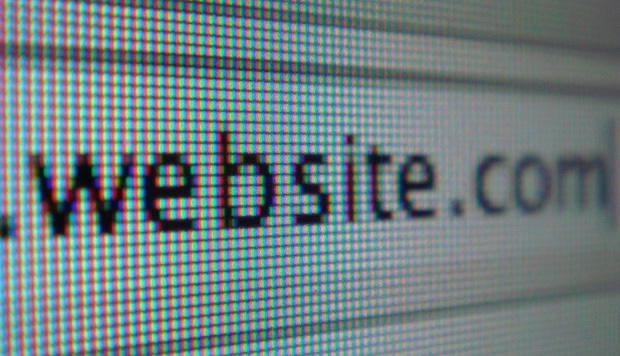 “We’ve got a market in .com somewhere in the region of 110 million domains under management so the opportunity for an existing or new business or individual or cause to register a new domain name that’s meaningful in any way is almost non-existent,” Schindler says, “unless they want to pay significant sums on the after market. The changes we will bring to the market will be very significant, and people will be able to apply for an use second-level domains that are meaningful, short, specific and search-engine friendly.” He knows what he’s talking about, being formerly CEO of CentralNic, a global domain name registry that handled addresses like eu.com and us.com. Donuts doesn’t expect to win all 307 of its applications, but it’ll likely win a lot of them…and that instantly will turn it into a company you’re going to hear more of. Because then you’ll be able to buy a web address along the lines of Jims.pizza from companies acquire them from Donuts. Okay, perhaps not .pizza, necessarily, as the list Donuts has applied for is obviously closely guarded. But Schindler revealed that the list is rich with “generic everyday words.” Not on the list are brand names, because the legal ramificiations are too complex, Schindler says. All this will drastically change the way web companies are named, and the move will have all sorts of implications for search-engine optimization and for wholly new services involving local gTLDs that end in, say .chicago. Just think about how easy it would be as an end-user of the Internet if you simply had to search for “.hotel” in the city you’re visiting. And Schindler pointed out that the move may also improve security, because a bank could buy the gTLD that matches its name and terminate all its official sites with the relevant .word–no one else would be able to use that address, and this could squash many phishing attempts. What’s certain is that as well as innovative new web addresses that change how you surf the web, whole new companies will grow up around the new gTLDs in the same way firms like GoDaddy.com have made a name selling the existing web addresses. The idea has appealed enough to investors to fill Donuts coffers with $100 million from a mixture of “venture capital, private equity and some high net-worth individuals,” as Schindler puts it. That list includes Austin Ventures, Adams Street Partners, TL Ventures and Stahurricane. That last one is the fund of Donut’s CEO Paul Stahura, who once sold the domain name registrar eNom to Demand Media. Later Stahura became a Demand Media executive.